Respect Mark ll Emerging ? Left Unity and Ian Donovan Unite to Back Rabina Khan. Mass rally in Tower Hamlets backs Lutfur Rahman, by Annette Mackin. It was called after Lutfur Rahman was removed as mayor of Tower Hamlets after an islamophobic witch hunt. Councillor Alibor Choudhury was also found guilty of “corrupt practices”. Commissioners have been sent in to run the local authority until a new mayor is elected on 11 June. Other speakers included Salma Yaqoob, Lindsey German from the Stop the War coalition, local trade unionist John McLoughlin, Weyman Bennett, and Andrew Murray from the Unite union. Socialist Worker has given up bothering to contest in any rational way whether the decisions of the electoral court were based on fact. No doubt all that will cease once the SWP runs voting, supervises the ballot boxes, and local government, on the template they have set for internal party judgements in, say, the ‘Comrade Delta’ case. 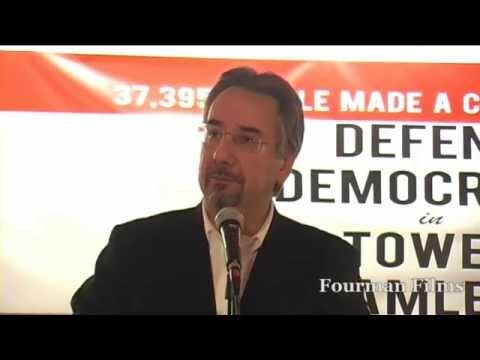 At a public event last Thursday titled “Defend Democracy in Tower Hamlets”, ex-mayor Lutfur Rahman introduced Khan as his Tower Hamlets First party’s new candidate for the position he had formerly held, until he was found guilty on April 23 of “corrupt and illegal practices” and removed from office. This resulted in some confusion over which party Khan would represent, as Tower Hamlets First was delisted from the register of political parties last Wednesday – the day before the event. An Electoral Commission spokesperson said the party was delisted because the financial scheme it submitted at the time of registration was not being properly implemented. However, some residents are sceptical about how independent a candidate Khan will be. Writing on his website Love Wapping, Mark Baynes referred to Khan as a “puppet” of Tower Hamlets First, saying: “All the bloc votes that were previously used for the benefit of the ex-Mayor are directed towards the new ‘front person’”. Some residents believe electoral fraud has been a recurrent issue for Tower Hamlets. Left Unity have called upon those on the political left to support Khan’s campaign. Mitch Winehouse, father of late singer Amy, has also endorsed Khan’s run for mayor. A Twitter user called @LutfurForMayor tweeted a picture of Winehouse and Khan together today. Ian Donovan’s views in Winehouse’s ethnic background are, so far unavailable. Update: Is Tower Hamlets really an Establishment conspiracy? Rahman’s left supporters are very bothered about the law preventing “undue spiritual influence” in elections. Counterfire claims that this law was “introduced by the British in Ireland to stop Catholic preachers rallying the Irish! One doesn’t need much imagination to see how this legal relic will be used against Muslims.” In fact, it was introduced by Gladstone, as he was becoming a supporter of Irish Home Rule, and as part of a package of measures which also, for instance, outlawed bribery and checked employers’ ability to coerce their workers to vote a certain way. Despite the oppressiveness of British rule in Ireland, the law was not used to repress Irish nationalists; cases were brought by more radical and anti-sectarian nationalists against less radical and more sectarian ones (by a Parnellite against an anti-Parnellite nationalist in the Co. Meath case referred to Mawrey). The Catholic Church in Ireland was not an anti-imperialist force! It waged war against the most radical and left-wing nationalists. And here we come to the fundamental problem with the whole approach of the left. The fact that an organisation has its base in an oppressed community does not necessarily make it progressive. Counterfire (and not only Counterfire) make arguments that tend towards assuming Catholic = anti-imperialist. In the same way, they assume Muslim = anti-imperialist or in this case really left-wing. CF’s John Rees argues that Rahman has been prosecuted “not for what he has done wrong [making cuts], but for what he has done right”. The Socialist Party also implies that all would be well with Tower Hamlets council if only it fought cuts. Left Unity in Dramatic Rightward Shift to Back Tower Hamlets First – Heralding Party Break-up? This statement has been agreed by Left Unity’s executive committee. 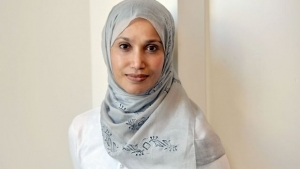 Left Unity supports Rabina Khan in the 11 June re-run of the Tower Hamlets mayoral election. She is standing to defend democracy in Tower Hamlets at a time when the council is being taken over by Tory government agencies, whipping up Islamophobic scare stories to justify sending in Eric Pickles and his unelected commissioners. The continuing case against Lutfur Rahman, who has vowed to clear his name, is being used as an excuse to dismantle the whole democratically elected council. We call on the left to unite in support of the campaign to defend democracy in Tower Hamlets and in support of Rabina Khan’s candidacy. There is more about the campaign at Rabina Khan’s website. No indication of how Khan was selected (an interesting form of ‘democracy’ for a start). No indication of what the substantial Tower Hamlets First’s programme is, how it operates, and why it is so preferable to the Labour Party. Or why it is ‘left’ let alone in line with Left Unity’s ideas. Labour in Ipswich Borough Council have not just refurbished but built Council houses – so on this basis (the only one offered) they are more to the left than Tower Hamlets First. Blanket acceptance of Lutfur Rahman’s claim that he is innocent of fraud and corruption, despite the lengthy legal judgement. No answer to accusations of Big Boss’ culture, of ‘communalism’ and links with the Islamist far-right against Tower Hamlets First, and other forms of clientalism. Not to mention intimidation. Why is Khan’s religious identity so important to mention in a declaration that is concerned with reasons to back her? Most significantly: Left Unity takes no critical stand towards the whole system of directly elected Mayors that many people charge with responsibility for the whole mess Tower Hamlets has found itself in. We confidently predict that this hasty decision will herald serious signs of a break-up in Left Unity. The sordid manipulative, and communalist, past of several leading figures, mired in Galloway’s manoeuvres, has come back to haunt the ‘new’ organisation. Yes: Step Forward Kate Hudson. You have to ask: is this not Respect Redux? Shiraz Socialist posts this incisive letter. I agree with Jim Denham’s critique (M Star April 29) of the editorial (M Star April 27) defending directly elected former Tower Hamlets mayor Lutfar Rahman. As I wrote in The State and Local Government, such mayors should be abolished. These offices lead to cronyism, patronage and corruption. They are the optimal internal management arrangement for privatised local services. Moreover, they remove the working class from this layer of local democracy, favouring full-time career politicians. This undemocratic system has not increased voter turnout or support, only being recallable if there is proof of law-breaking. The support for Rahman by Unite, George Galloway, Ken Livingstone and Labour’s Christine Shawcroft does not invalidate Mr Denham’s detailed arguments exposing double standards on the left, which has in the past also praised the archaic electoral court, which should be replaced with a simpler mechanism. Power in Tower Hamlets, even before the commissioners, was too concentrated. Cabinets and directly elected mayors should be replaced with a committee system, giving all councillors the right to make policy again. Is anybody seriously suggesting that this is going to fix that? What was Rahman’s role in her selection? (1) Compare: Noted Tower Hamlets Property Deal: Fury at Tower Hamlets over knock-down sale of old Poplar Town Hall (January 2014). Police to Open Inquiry into Rahman and Tower Hamlets First as Post-Modern Left rallies to his Support. Post-Modern Politics in a Fedora Hat. Lutfur Rahman: Police poised to re-open inquiry after election scandal. Scotland Yard confirmed last week’s High Court electoral fraud judgment into Rahman, Britain’s first elected Muslim mayor, contained new material which had not been previously reported to them. It means the inquiry into Rahman and potential collaborators​ could now be formally re-opened, bringing into question the Metropolitan Police’s decision to previously shut down the investigation. James Bloodworth comments on this fiasco, (Daily Beast): Lutfur Rahman Turned East London into a Banana Republic. We do not agree with all of this analysis, the ‘far-left’ is by no means unanimous in its backing for Rahman to start with, and it the ‘pre-Islamists are a mixture of the credulous, the well-intentioned who have no idea of what they’ve got into, and the less savoury. But James Bloodworth much of it echoes the point we made a few days ago about Putin’s Russia and his chief ‘political technologist’. The SWP, Socialist Action, Left Unity, Counterfire, the list is long of those caught up in this ‘post-modern politics’ where any means are good to keep the ‘Boss’ in power. “Anger and resentment are rising in Tower Hamlets following the election court decision on 23 April. Even people who didn’t previously support Lutfur Rahman recognise the ruling as a hypocritical, state-sponsored attack on local democracy, with strong racist and Islamophobic under-currents… The election court judgement is an attempt to intimidate and neuter political dissent and shore-up the political establishment. 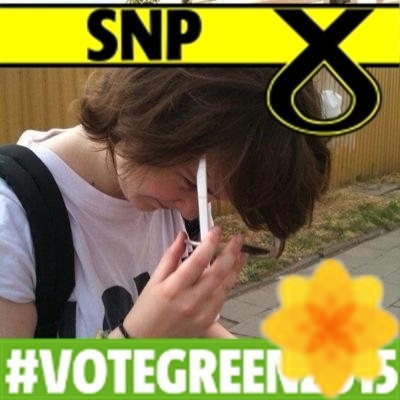 “Lutfur Rahman’s administration has reinstated EMAs, maintained Council Tax Benefits and celebrated St Patrick’s Day and LGBT culture. In stark contrast to the Labour council leader who preceded him, Lutfur Rahman took a courageous and principled position to oppose the EDL. Rahman celebrated St Patrick’s Day! And no doubt the Birthday of the ‘Prophet. No mention of how exactly Tower Hamlets First came to select (so, so, quickly) Rabina Khan as Rahman’s chosen successor. More: Lutfur Rahman announces new Tower Hamlets mayoral candidate following dismissal. George Galloway – Who Once Endorsed Richard Mawrey QC – Says Lutfur Conviction for Fraud and Illegal Practices “Shameful”. On top of that – this is where the issue of complacency arises – a major police investigation into voting fraud in Tower Hamlets is ongoing, and has engaged four police officers full-time for the past ten months. No charges have yet been brought – I do not know if they will be, as it is so easy to subvert the system – but Assistant Commissioner Andy Hayman has already commented, on the basis of that investigation, that postal votes are particularly susceptible to fraud. Despite all the talk of there not being many prosecutions, the Crown Prosecution Service has confirmed that 390 cases of alleged electoral offences have occurred over the past seven years, and not all in inner cities. In Reading, only two of 46 postal vote applications examined were found to be authentic. Richard Mawrey QC *, who has been much quoted this evening, looked at ballots in the Birmingham city wards of Aston and nearby Bordesley Green. He said that there were at least 1,000 forged votes in Aston and 1,500 to 2,000 in Bordesley Green. The system of postal voting on demand is leading to a banana republic perception. Like the minister, I am a former Labour Party official. I have been fighting elections for almost 40 years, almost always on the winning side. I know about elections. Now, for the first time in my political life, people ask me, ‘How do we know that they are counting these votes fairly? How do we know they are not rigging the election?’ I am not saying that that is happening, but there is a systematic undermining of confidence in the electoral process, caused largely by postal vote fraud. Councils share the responsibility with government. Richard Mawrey QC considered our two petitions – the only two that we could get in front of the election court. I hope that the minister, who is laughing, will listen to what he said about a New Labour council just a few miles from Westminster, held by one seat that was only secured by this type of corruption. In response to our petitions, Richard Mawrey QC declared that the evidence that we presented showed ‘disturbing’ and ‘suspicious’ signs of ‘classic postal voting fraud’. He went on to say that a regime that allows electors to acquire postal voting ballots ‘on demand’ has been ‘an open invitation to fraud’, which has proved to be ‘distressingly easy’. Galloway is still fond of the electoral law. A Labour election leaflet from candidate Naz Shah in Bradford West which is being delivered to every household in the constituency has been referred to the Director of Public Prosecutions because it contains alleged false statements aimed at affecting the election result. Respect candidate George Galloway has made his second referral to the DPP under Section 106 of the Representation of the People Act 1983. The complaint concerns an extremely critical statement about Galloway attributed to a local businessman, a pharmacist, in the Heaton Ward of the constituency, which the man denies making. A defence under Section 106 of the act, False Statements As To Candidates, is that the statements made are believed to be true, “There cannot be a ‘reasonable grounds’ defence when statements are invented,” Galloway added. “I am urging the DPP to urgently investigate this blatant attempt to influence the outcome of the election. But how times change when it comes to Tower Hamlets. Meanwhile Nick Cohen comments: Tower Hamlets: how a dictatorship flourished in the East End. Here: A review of the judgement in the Lutfur Rahman case. We learn with no surprise that Izaakson is closely linked to Richard Seymour – the ally of the militant wing of post-colonial studies, the racist and homophobic Indigènes de la République. Rootless cosmopolitan. Anti-humanist. Historical Materialist. LSE grad. PhD. Izaakson’s ‘demolition’ of the judgement is laughable. In court one particular afternoon I watched as five Muslim witnesses were repeatedly asked, “did you say it was haram to not vote for brother Lutfur?”, as if these people were religious scholars in any position to do so. Within Islam there is a debate about whether to vote at all in elections, not about which candidate is the godly choice! To make such a claim, to decide god’s will and choose a specific man above another as more fated by god, I imagine, though I’m no sheik, would be sacrilegious. No you are not a sheik, or a scholar or a gentleman. Obviously the electioneering of the Muslim Brotherhood’s various branches from North Africa, Egypt and elsewhere, has not come to the writer’s attention, to cite just one case amongst hundreds. If Rahman was indicated as the only right ‘Muslim’ candidate is this not a problem? If the Labour ‘Zionist’ Party was not ‘Muslim’, then is this not a problem? Is there anything wrong with religiously motivated campaigning? There is a lot worse in this torrent of dissembling. The evidence for these claims was the testimony of Andrew Gilligan, a right-wing Telegraph journalist linked to cronyism claims that has hounded Lutfur for years. Gilligan simply stated that two Tower Hamlets councilors had two addresses. To be clear: it was found that Rahman was guilty of this claim due to it simply being thought that Gilligan’s testimony was ‘credible’ (believable), without any proof. All that was believed is that two councilors had two addresses and then Gilligan’s assumption they therefore must’ve voted twice was agreed with. See above for Gilligan’s past. All Izaaskson demonstrates that the judge accepted the truth of a witness statement. Has he any other alternative ‘proof’ that it was not? The rest of the criticism, on organised religious pressure (see our previous post) is equally airily dismissed as the action of ” exuberant groups” – and whatabout Labour supporters own enthusiasm! We wonder why there was a trial at all, Seymour, Rees and Izaakson could simply look at this “natural” enthusiasm with a wry smile. Because they too backed Lutfur and wanted him to win. * Richard Mawrey QC,“The judge who disqualified Lutfur Rahman is one of the country’s leading electoral law practitioners and has handed down previous, scathing judgments resulting in councillors being removed from office. Richard Mawrey QC, a deputy high court judge, specialises in election cases and has developed an acute awareness of voter fraud in his experience as an election commissioner – although there have been calls to improve the way the court operates.” Guardian. Wikipedia. Lutfar Rahman Found Guilty of “corrupt and illegal practices” in Tower Hamlets Election. Guilty of ‘Corrupt and Illegal Practices”. Lutfur Rahman found guilty of illegal practices in Tower Hamlets election. Hat tips to: SH, DT, Rosie and Adam. An east London mayoral election has been declared void and will have to be re-run after he was found guilty of corrupt and illegal practices. Election Commissioner Richard Mawrey concluded Tower Hamlets mayor Lutfur Rahman had breached election rules. Four voters took legal action against Mr Rahman, who they alleged used “corrupt and illegal practices” in the election last year. At the special High Court hearing, Mr Mawrey said the mayor had “driven a coach and horses through election law and didn’t care”. He added Rahman, who had been elected for a second term in the east London borough, would be “incapable” of standing in the new election. Mr Mawrey – who sat as a judge – described Mr Rahman as “evasive and discursive witness whose evidence was untruthful on occasion”. The four voters mounted the legal challenge under the 1983 Representation of the People Act. Lawyers for the four made a series of allegations – including “personation” in postal voting and at polling stations and ballot paper tampering. Lawyers for Mr Rahman, who was re-elected for independent party Tower Hamlets First last May, described the claims as “invention”, “exaggeration” and “in some cases downright deliberately false allegations”. However the Election Commissioner said that Tower Hamlets First was “never really a party but the alter ego of Lutfur Rahman”. One of Mr Rahman’s aides Alibor Choudhury was also found guilty of corrupt and illegal practices. Rahman has been ordered to pay £250,000 costs. The mayor of Tower Hamlets has been kicked out of office after being found guilty of widespread corruption in seeking office last May. The mayoral election in the east London borough will be rerun after Lutfur Rahman and his supporters were found to have been involved in vote-rigging, seeking spiritual influence through local imams, and wrongly branding his Labour rival a racist. Judge Richard Mawrey QC handed down his verdict on Thursday after a 10-week hearing at the Royal Courts of Justice. A group of four residents had called for last May’s mayoral election, in which Rahman triumphed over Labour rival John Biggs, to be declared void and rerun. Rahman – who is Britain’s first directly-elected Muslim mayor – won the ballot after a campaign of “intimidation and corruption”, the petitioners alleged. Mawrey was asked to consider if the election was fraudulent and should be rerun. If Rahman was found to be responsible, he faced being banned from office. The mayor denied the allegations, which he dismissed as cynical and politically motivated. During the course of the hearing, the court heard evidence from a handwriting expert that hundreds of ballot papers carried marks suggesting they could have been filled out by the same person. Muslim voters were told it would be “un-Islamic” not to support Rahman in last May’s ballot, it was alleged during the hearing. Rahman was also accused of making false statements about the personal character of Biggs. The Bangladesh-born mayor was accused of “undue influence” by “means of spiritual influence” during the campaign and on polling day. It was claimed that a Bengali newspaper, The Weekly Desh, published a letter signed by 101 Islamic leaders which was “intended to have undue influence on the Muslim population of the borough”, Hoar said. Their pronouncements had been used to cajole and control many within the local 65,000-strong Muslim community, it was claimed. The court heard that one of the petitioners saw a voter crying outside a polling station after allegedly being told by a supporter of Rahman that it was “un-Islamic” not to vote for him, and that if you did not vote for him you were “not a good Muslim”. Bribes were also used to win over voters, the court heard, with meals given out on election day. Hoar said that there was evidence of “interference with voters” – including in polling booths. Rahman won the poll in the first round of the election, with 43%, and Biggs was second on 33%. In the runoff round he beat the Labour candidate by 52.7% to 47.7%. The long-awaited verdict comes after the communities secretary, Eric Pickles, ordered a team of commissioners to ensure the council is properly run after a PwC report last year found it flouted spending rules. Pickles took control of key functions of administration when he appointed three commissioners to oversee grant-giving, appointments, property deals and the administration of future elections in the borough. Other functions such as education, social care provision, street cleaning, housing and homelessness services are unaffected by this move. Rahman denied any wrongdoing in council spending, as well as the allegations surround last year’s mayoral election. 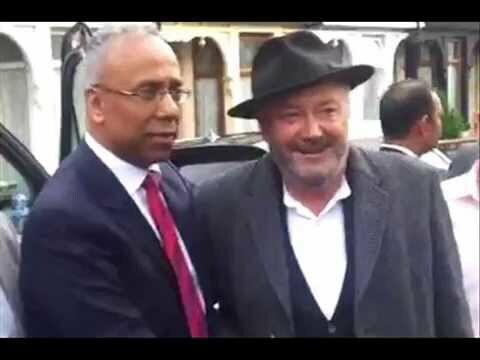 Bob Pitt: Livingstone and Galloway rail against ongoing ‘witch hunt’ of Lutfur Rahman. Richard Seymour and Ashok Kumar The smear campaign against Lutfur Rahman is an insult to democracy. Seumas Milne, “The Muslim mayor of Tower Hamlets, the former Labour councillor Lutfur Rahman – often described as “extremist-linked” in the media – has been the target of a new media onslaught. No wrongdoing has been uncovered, including by the police. Oppose Islamophobic witch hunt against Lutfur Rahman in Tower Hamlets. Socialist Worker. Rahman is told to vacate post immediately after election court judge finds him guilty of widespread corruption in seeking office last May. The mayoral election in the east London borough will be rerun after Lutfur Rahman and his supporters were found to have been involved in vote-rigging, seeking spiritual influence through local imams and wrongly branding his Labour rival a racist. Azmal Hussain, a petitioner who said he would have lost his Brick Lane businesses if they had lost the case, dismissed claims that the judgment would be seen as racist. For those trolling about Lutfur Rahman. No, I won't retract anything I've said. No, I'm not sorry. No, I don't defer to the judge's view. We concentrate on the wider political implications of this, particularly for the left.